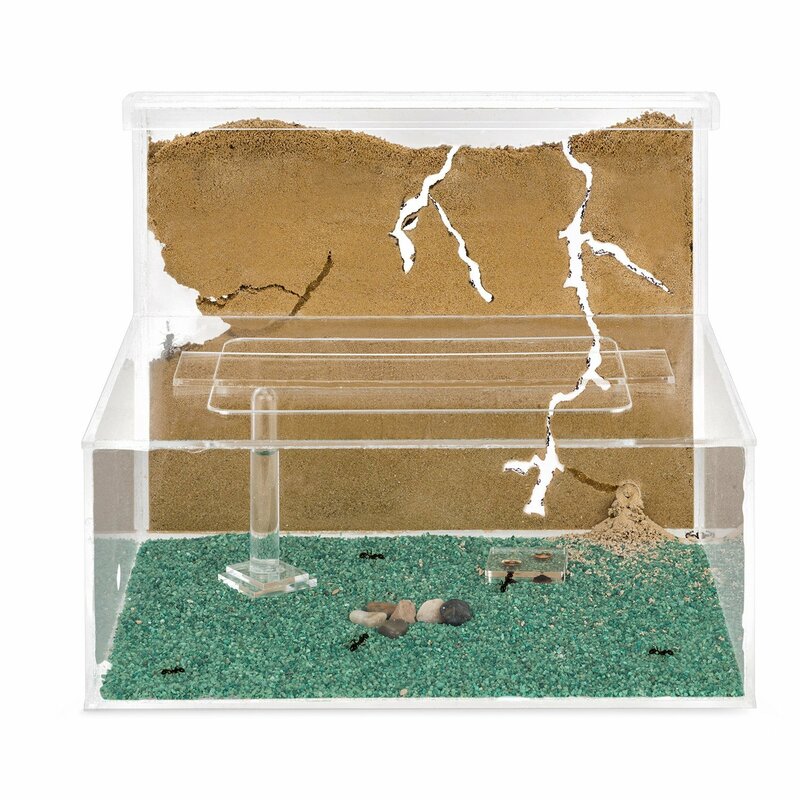 Large Sand Ant Formicarium with Free Queen Ant Colony. 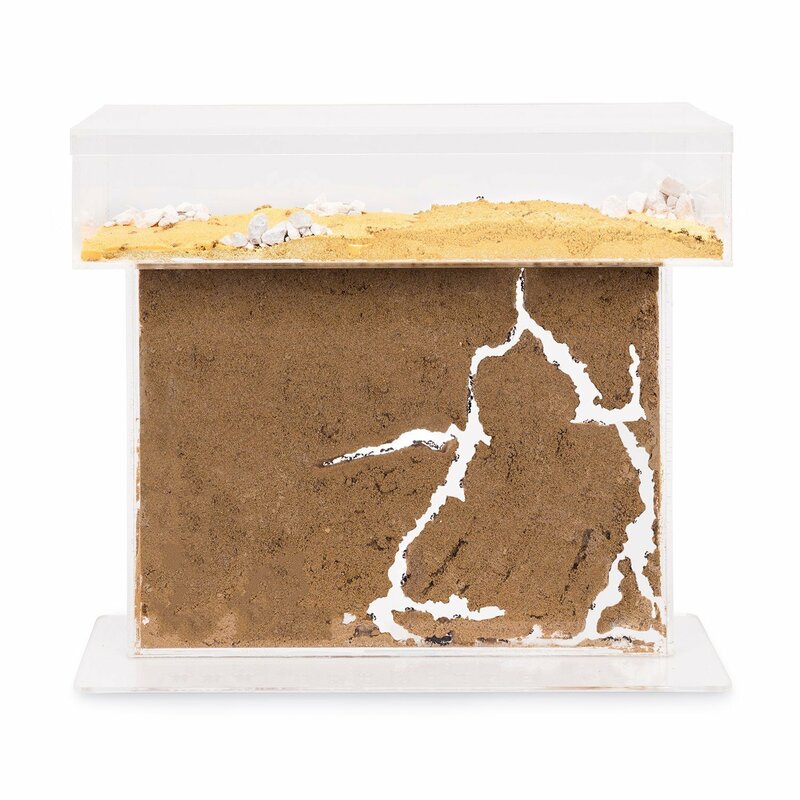 Large Sand Ant Formicarium perfect for large ant colonies, or fast growing ant species. 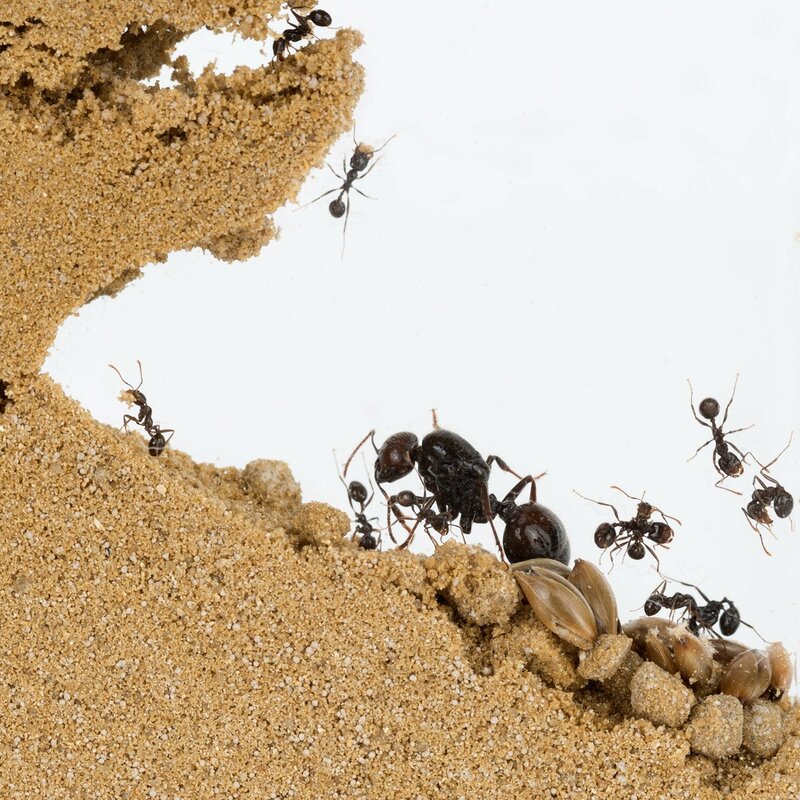 Natural sand ant farm allows you to observe them in their natural world. Building tunnels and making their very own nest. 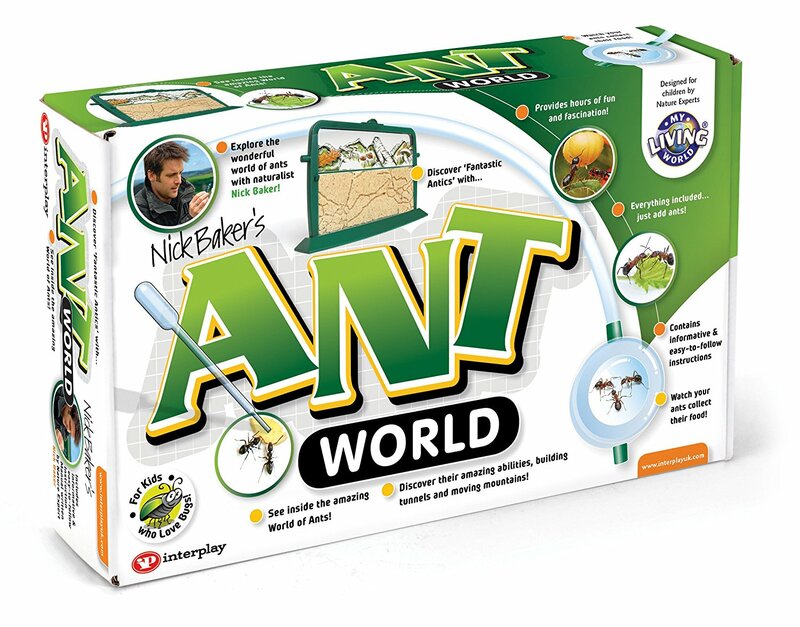 Free Ant colony included comes with Queen, worker ants, eggs and larva. Everything you need to start keeping ants. The ant colony comes in a test tube setup included water and food for up to 3 weeks. 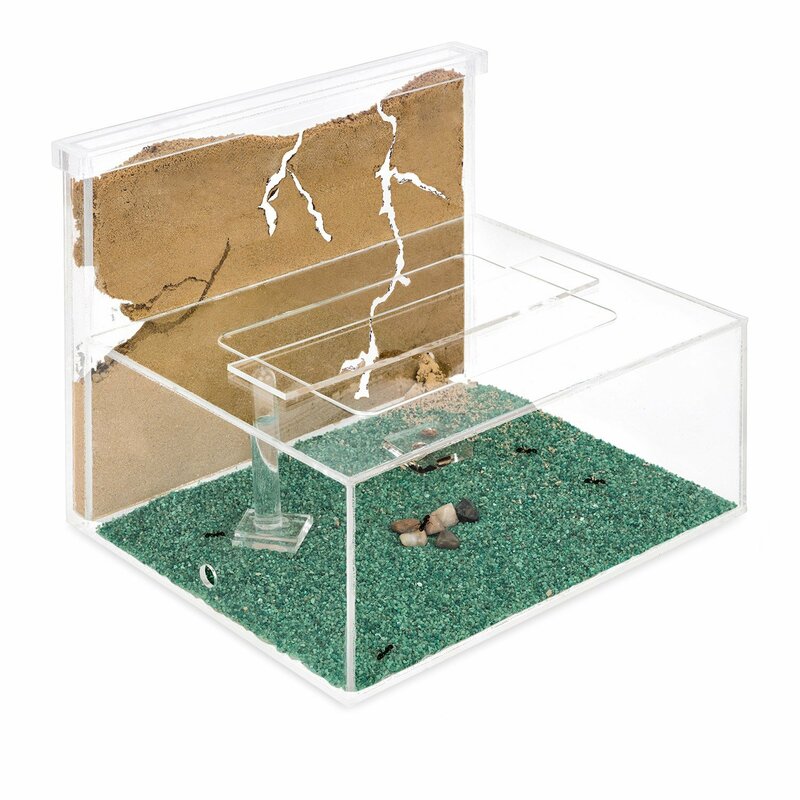 Large sand ant formicarium perfect for keeping large ant colonies. 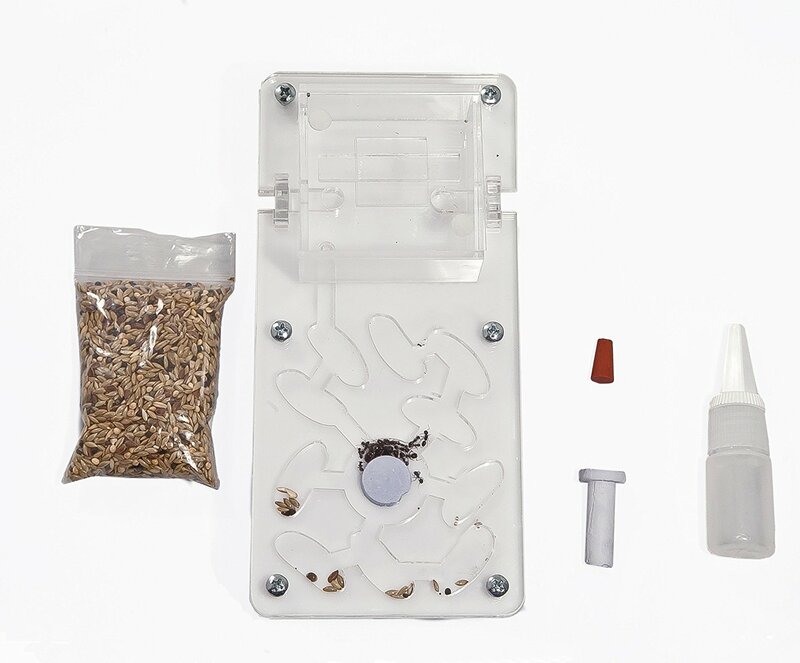 Comes with a large foraging area for the ants to explore and a way for you to feed the ants. 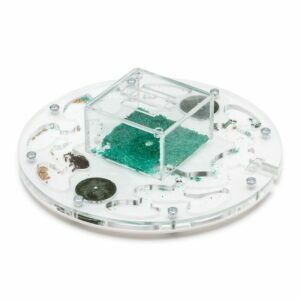 1 x acrylic ant farm 25 x 20 x 1 cm. 1 x foraging area with lid 18 x 25 x 10 cm. 1 x ant colony with queen, workers and eggs. 1 x 500g of sand loom / mixed sand. 1 x 50g of stone granules for the decoration of the foraging area. 1 x 10ml protein jelly (ant food). 1 x 50g of sand for decoration.